Use two simple pieced blocks and a unique novelty print fabric to create this fun quilt! 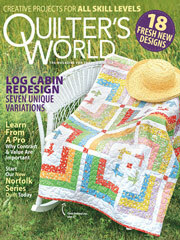 This colorful free quilting design will delight both children and adults. It really adds some color to a nursery! Finished size is 39" x 57".